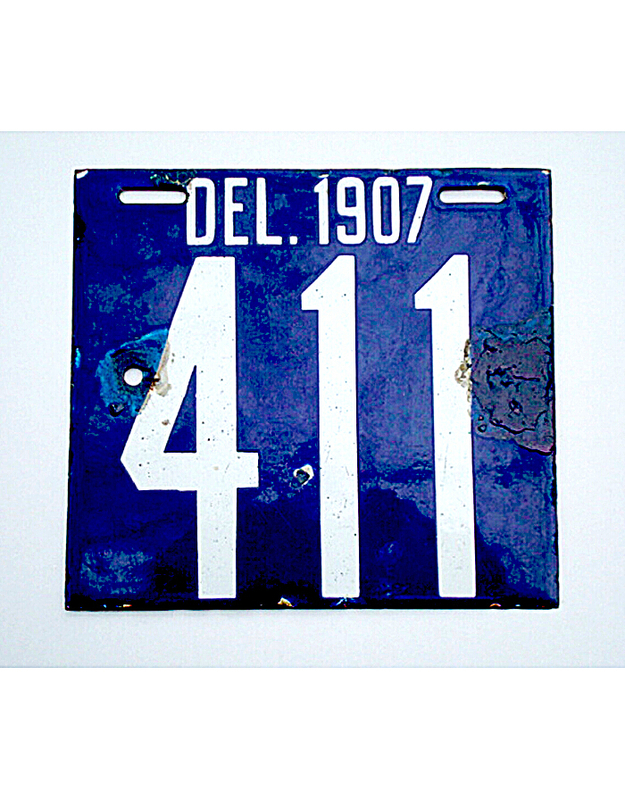 Delaware began registering motor vehicles in 1905. 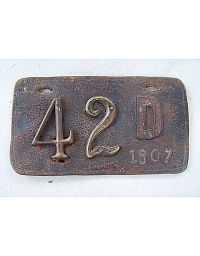 Owners were required to license with the state and to display numbers assigned by the state government, as shown on the certificate of registration. 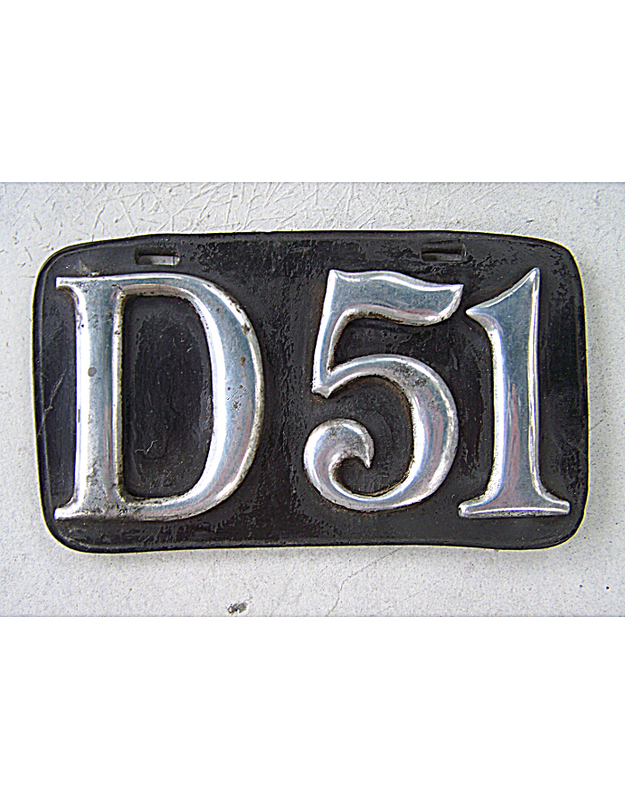 Although not specifically required by state law, virtually all Delaware pre-state tags include the letter “D” or “DEL” in addition to the registration numbers. 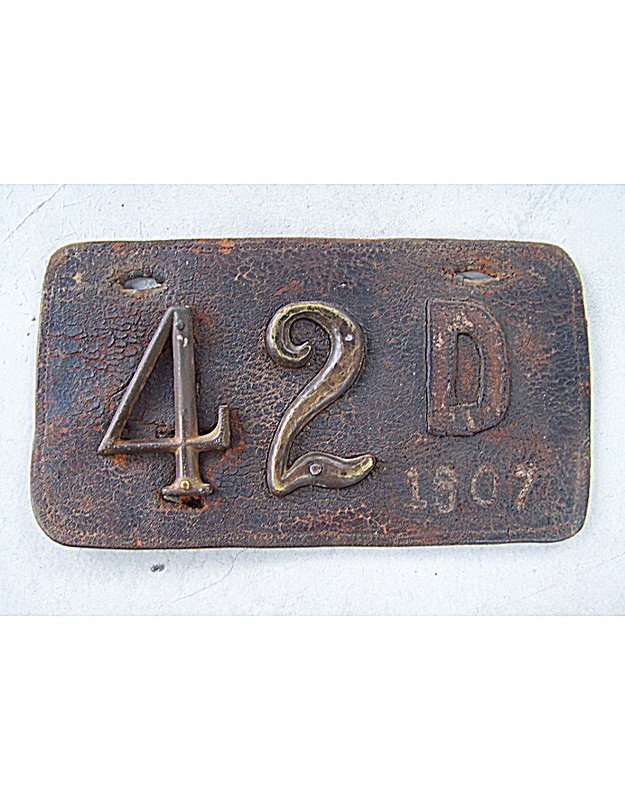 In mid-year 1907 the state required automobiles to be re-registered annually. 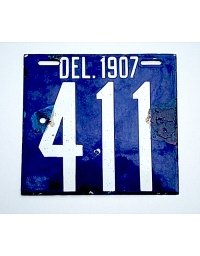 The date ‘1907’ was to be included on the license plate in addition to the serial number. 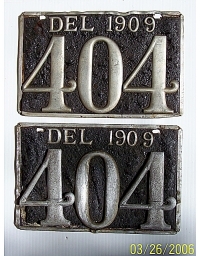 Some owners made new plates in order to accommodate the date, while others simply inscribed it onto their existing tags. Owners re-registered again for 1908 and 1909; changing dates for each year. 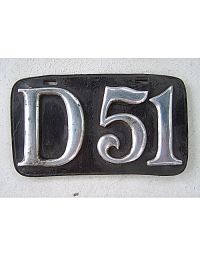 As shown here, license plate #51 is a 1905-06 tag that has not been updated for subsequent years; #42 is a 1905-06 tag updated by the auto owner for 1907. 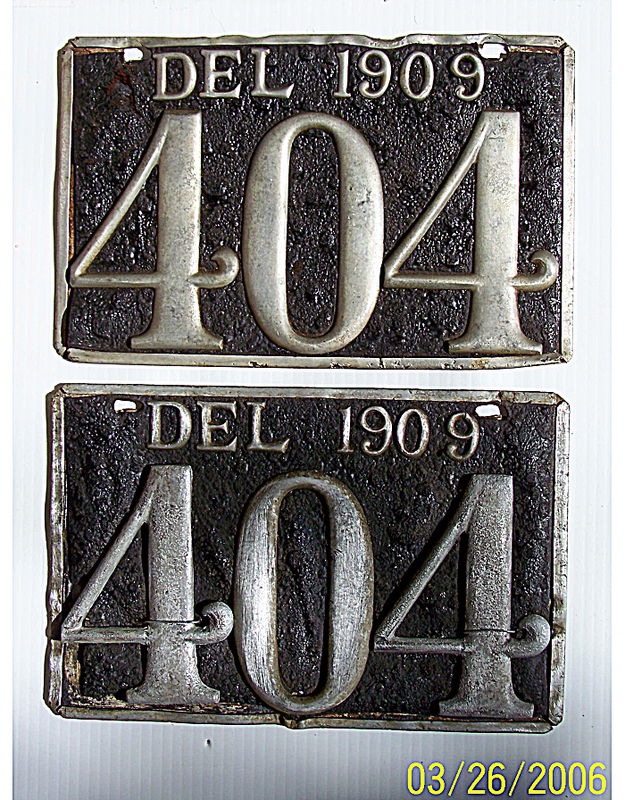 #404, also pictured, was originally made as a 1908 tag. The last digit of the date has been changed to a “9” to comply with the law for the following year.